Since 1981, M’s Machine & Mfg. Co., Inc., has provided OEMs with the cost-effective, high-quality CNC machining services they require in order to satisfy their customers’ demands. Our success in milling and turning metal and plastic parts for leading agricultural, automotive, industrial and medical manufacturers arises from our team’s rigorous quality procedures and effective communication with suppliers. 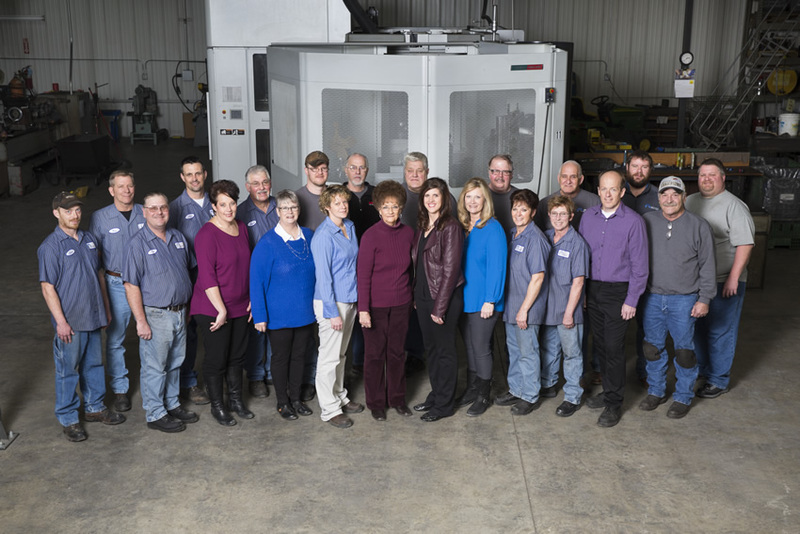 M’s Machine takes pride in its employees and facilities as well as our high standards for quality. This enables our agile team to deliver cost-effective solutions for today’s evolving OEM requirements. Learn more about the industries and OEMs we serve. In 2008, Ms. Drahn’s descendants, Casey Drahn and Cory & Candace Drahn, finalized the purchase of M’s Machine & Manufacturing Company, Inc. Please contact us to start a discussion about how our tradition of excellence can save you time and money on CNC parts.